[SEO Case Study] How Long Should Home Page Content Be? Home » Case study » How Long Should Home Page Content Be? How many words should there be on a given webpage is the topic of many discussions. Of course, there is no universal rule of thumb. Some experts say 300 words are enough, others say you should start at 500, but it depends on many factors – the industry, the level of competition, the type of page you are writing for, etc. Creating hundreds of websites each month, we felt obliged to find an optimal solution to this problem. We needed to know how many words should be enough for a small-business website to rank well and hopefully minimize the time and effort for creating it. This was a larger-scale experiment – 80 websites were included in the test, divided in four groups of 20. We tested two content lengths (300 words and 500 words) with two types of pages (home pages and blog pages), so we had four combinations to test out. To make things simpler, from now on, we will call the 300-word piece of content “short” and the 500-word texts – “long”. The experiment lasted for 2 months, the rankings were checked every 2 weeks. Websites didn’t have a blog section before the experiment. This is the most important metric in the experiment. Changes in website placement are direct reflections of the tested variables, other things being equal. The number of first-page results we get is also important as it helps measure the strength of the influence. In some cases, there will be a positive impact on placement but not enough to reach first page. Again, this is an important metric to get a perspective on the relationship strength between content length and placement. 1The experiment was carried out before the rollout of the local 3-pack. It is quite obvious here that the ‘Short home page / Short blog’ group performed best in terms of both speed of improvement and positions gained. 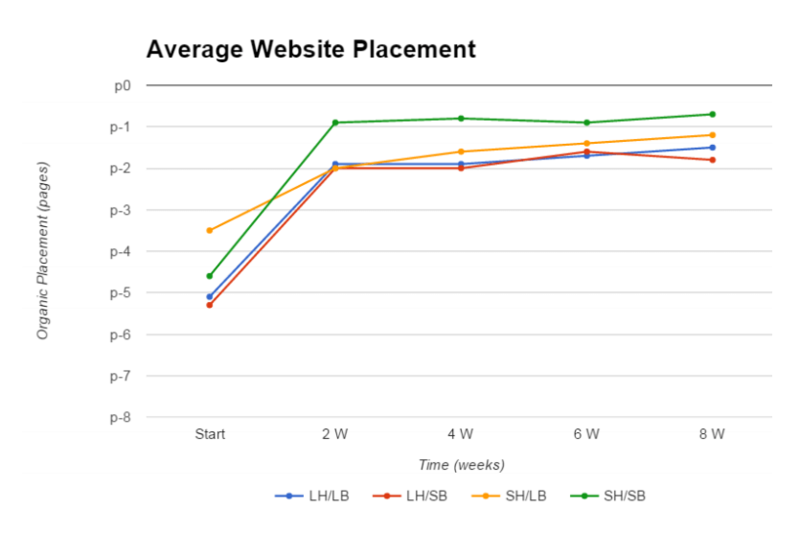 The ‘Short home page / Long blog’ group also experienced above average improvement but still performed very poorly in comparison with the SH/SB group. Again the ‘Short home page / Short blog’ group got the best results. 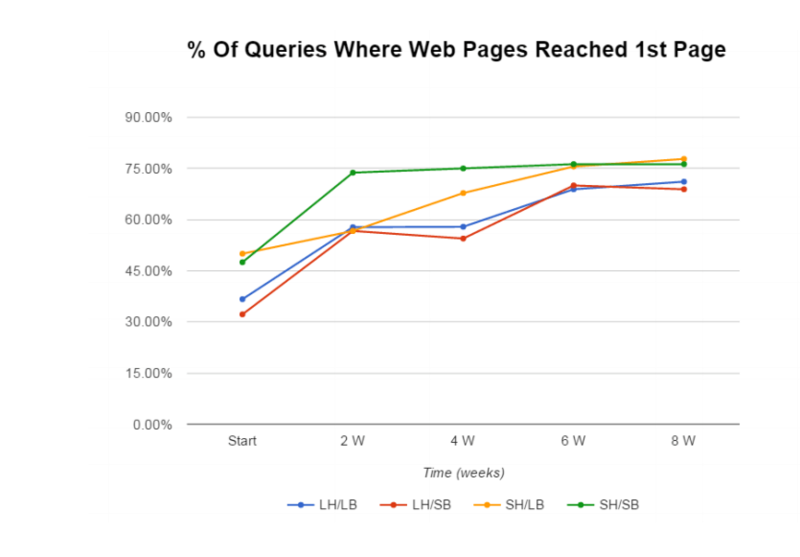 Within two weeks of the experiment, 73.8% of all queries from this group reached first page, and they stayed there, as you can see on the next chart. At the end of the experiment, the percentage increased to 76.2%. Second best is the ‘Short home page / Long blog’ group, where 77.8% of the queries ended up on the first page after 2 months. This group achieved slightly better final results than the SH/SB group, but it got there a lot slower. 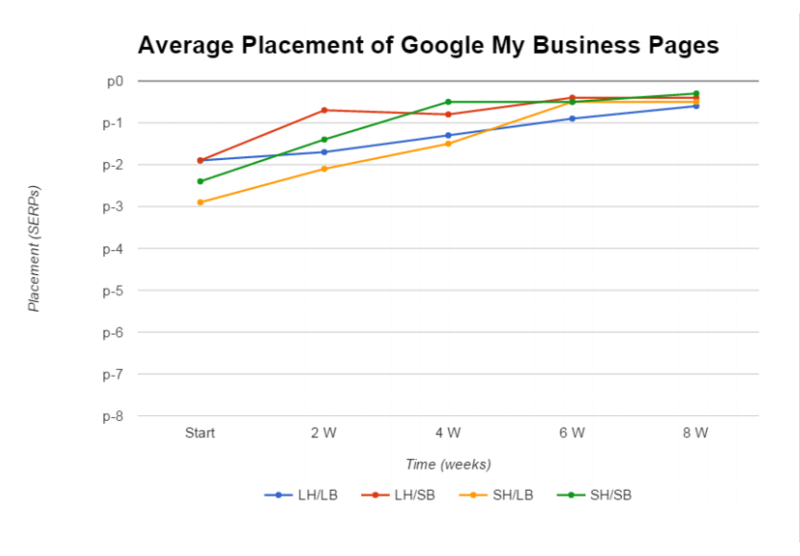 When it comes to GMB pages’ placement, the SH/SB group was one of the best achievers in terms of both speed and high final rankings. Within a month, listings reached their highest average position and kept it until the end of the experiment a month later. The other three groups finished with almost the same results – all of them, on average, had first page positions. However, it is obvious that add-ing the new content on the blog sections of those websites helped improve rankings. In terms of Google My Business pages successfully reaching the first page, all four groups performed almost the same. 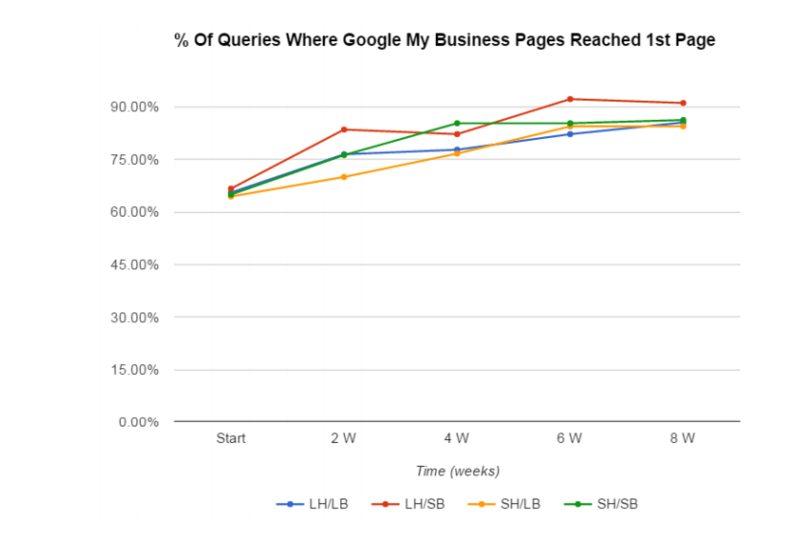 Surprisingly, the ‘Long home page / Short blog’ group performed best and ended up with 91.1% queries, for which Google My Business pages were on first page. The other three groups finished with first-page results for between 84.4% – 86.2% queries. After a careful assessment of the results, having won 3 out of 4 competitions, the absolute winner is the ‘Short home page / Short blog’ group. The second best is the ‘Short home page / Long blog’ group. 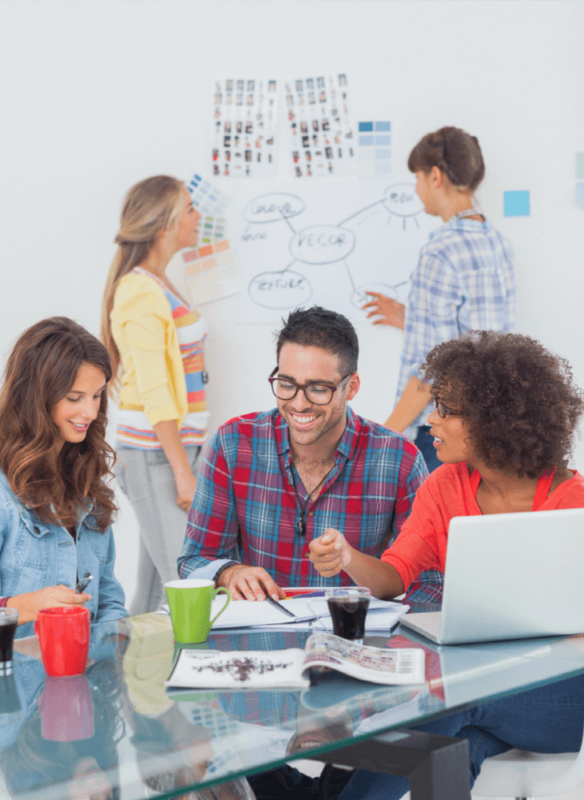 Writing 300-word articles for your home page and blog posts is the best you can do if you are a small business owner. Unexpectedly, 500-word texts were outperformed by the shorter ones. 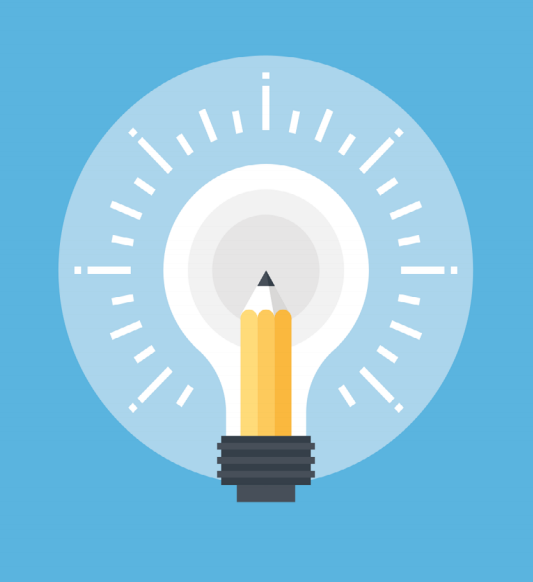 Not that longer articles are bad, but the shorter ones are quicker to write and rank. You can save up to 30% of the time for writing a text if you stick to 300-word articles instead of the longer ones, especially in a long-term perspective.